Talk to a live person, not an answering machine! Water can be an expensive and damaging type of loss and is usually considered to be the “most common” kind of residential and commercial damage. Your home appliances like water heaters, dishwashers, washing machines and toilets can overflow, back up, or just completely stop working and the after-effects of the overflow of water to the living and work areas can seem impossible to repair. Sewer backups and broken pipes can also generate extensive problems with water damage, particularly with a basement flood. You need to contact your local Naperville Illinois team, who is fully experienced and highly knowledgable in the extraction and removal of excess water. They will put your mind at east while taking care of your water damage clean up and water remediation needs fully and handling any sewage damage repair and cleanup needs entirely to conquer the dangerous conditions of microbial contamination. Moisture detectors/readers to determine the amount and location of the water if not detected by the human eye. Gas powered pumps to remove vast amounts of standing water. Portable extraction units are used when the truck mounted units cannot reach the affected areas. The art of dehumidification is backed by science. Location, placement and timing is the key–the faster we are called, the quicker we can begin our services of extraction and dehumidification. Naperville’s team will strategically place and frequently move the fans and dehumidifiers as the drying takes place. Over the period of a few days or more, we will visit your home or office and inspect our equipment to ensure maximum abetment and moisture removal, saving time and money on costly replacement projects. We all hope it never happens to us, and unfortunately it does. The devastation can overwhelm you, and you need to know where to turn for help. You are frustrated as your world gets flipped upside-down, when your home or business is ruined by unexpected water damage. You need help…you need answers…you turn to US. The area must be sanitized and disinfected to eliminate exposure to more contamination contained in the water itself. This can include possible waste material, household chemicals, and diseases. We are available for you 24 hours a day, 7 days a week, to give you the relief you need knowing you are dealing with a professional and certified technician who can fully analyze the situation, provide you with an estimate for the work, and then follow through with their promise. And will be applied to all affected areas of the home or business, depending on the damage including the basement, or crawl space. With our extensive knowledge in water damage restoration in Naperville Illinois, we can eliminate and prevent the growth of mold damage and get rid of offensive odors. Our technicians are compassionate and kind, empathizing with the devastation and frustration all of this water damage can cause. They will extract and decontaminate any area of water damage, no matter how large or small the project. They are experts when handling the water restoration process as quickly as you need it done. You can expect them to be courteous and skilled from project inception to project completion. We are here for YOU! 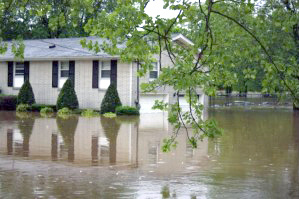 Do you live in a flood zone? © 2019 Water Damage Restoration Now, All Rights Reserved.